Ben Wye Engineering – Ben Wye Engineering & Design is an Australian Owned and operated manufacturing company. Ben Wye Engineering & Design is a 100% Australian owned and operated company based in Uraidla in the agricultural region of the Adelaide Hills. 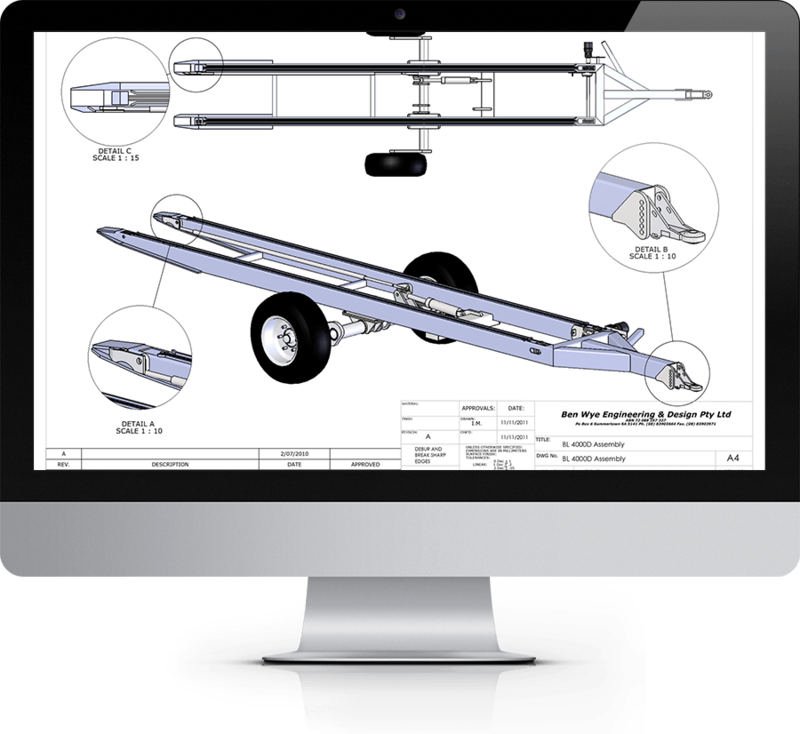 Ben Wye Engineering has a full range of Piranha Slashers available in Three Point Linkage or Trailed Models, ranging from 1mtr (3ft) to Multi-rotor Models up to and over 5mt (17ft). Bin Loaders are a self-loading and unloading trailer designed for transporting fruit bins in and out of the orchard quickly and efficiently, without the operator having to leave the tractor seat. 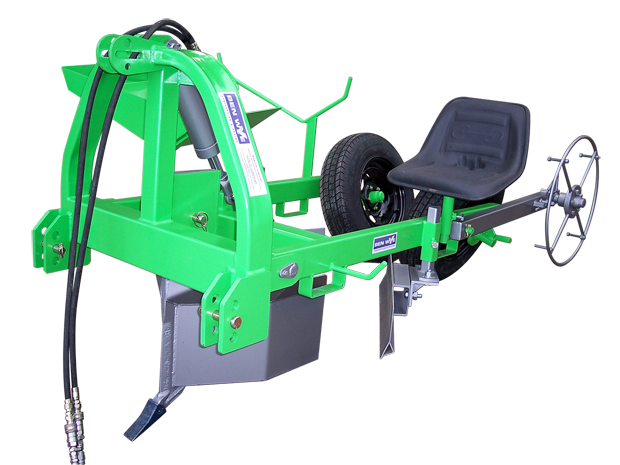 Ben Wye Engineering Tree Planter is a 3-point linkage implement designed to quickly and efficiently plant up to 2000 trees per hour; it rips, plants and recovers in one operation. 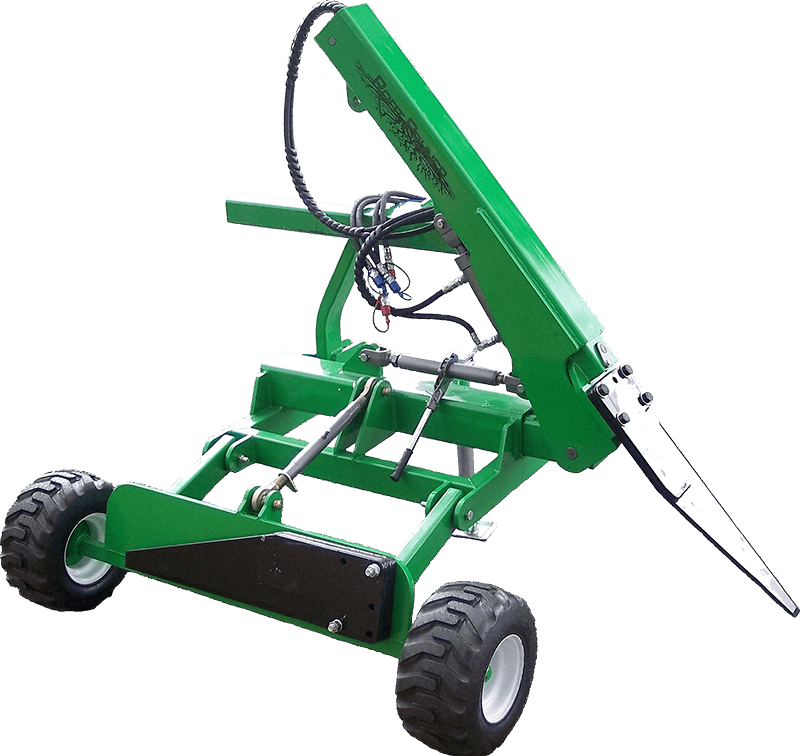 Keep your tree growth and chemical use & pruning to a minimum with a Ben Wye Root Pruner. 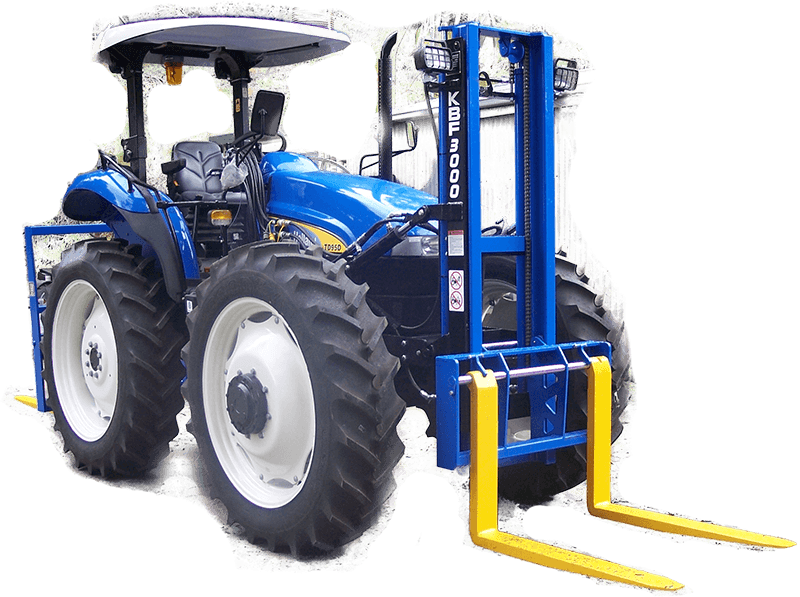 The new KBF tractor mounted forklift has brought the Kaesler Brothers Forklift into the 21st century by using the latest 3D Design software and the highest quality German hot rolled high tensile mast profiles. 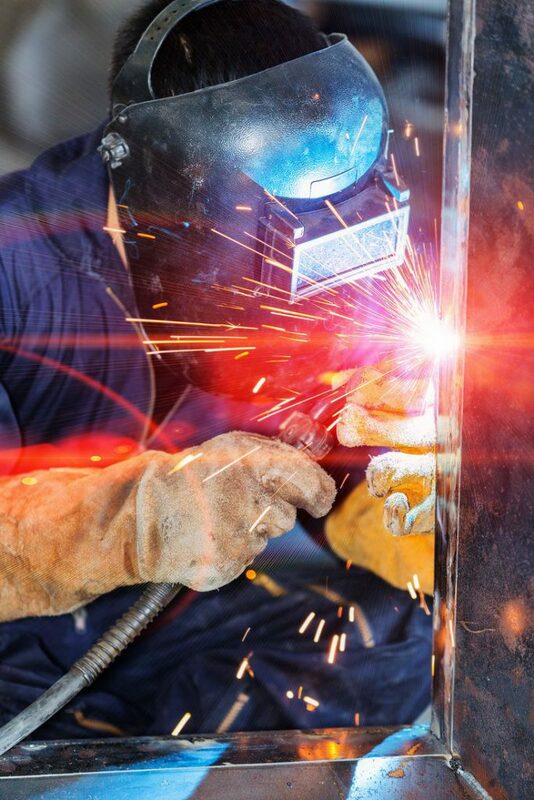 Ben Wye Engineering can custom design using Solidworks 3D CAD design software and manufacture with the latest CNC plasma cutter, guillotine, pressbrake Pulse MIG,MIG & TIG welding systems, all driven by quality tradesmen. 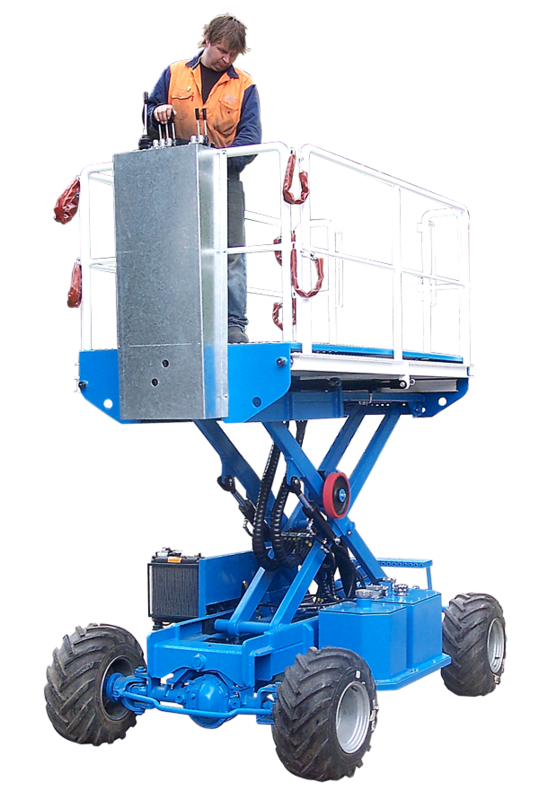 Ben Wye Pruning Platform is a self-propelled scissor lift platform, individualised to customers exact specifications and needs. From humble beginnings of manufacturing machinery & general fabrication for the local growers, Ben Wye Engineering now has a dealer network Australia wide. Founded in 1990 Ben Wye Engineering is setting the benchmark for quality in design, engineering and workmanship. We use the latest in 3D design software, employ the finest tradesmen and only use high grade products. We specialise in tractor mounted forkmasts, tractor drawn cutting equipment, fruit bin trailers and custom made orchard & vineyard equipment. We also manufacture other products including three point linkage forklifts, Piranha Slashers and many other agricultural implements. Our range of machinery has stood the test of time and is used in the agricultural industry by contractors, Parks & Gardens and lifestyle farmers. We use the latest in 3D design software, employ the finest tradesmen and only use high grade products. We are able to deliver a wide range of equipment throughout our dealer network Australia Wide. We specialise in the manufacture of Slashers and attachments for the agricultural industry, contractors, councils, parks & gardens and lifestyle farmers. The plant is situated in the agriculture region of the Adelaide Hills in Uraidla. In 2006 Ben Wye Engineering took over the fabrication of Kaesler Brothers Forklifts and we are manufacturing all the common spare parts for all of the Kaesler customers that they build up over the 101 years that they were in business. 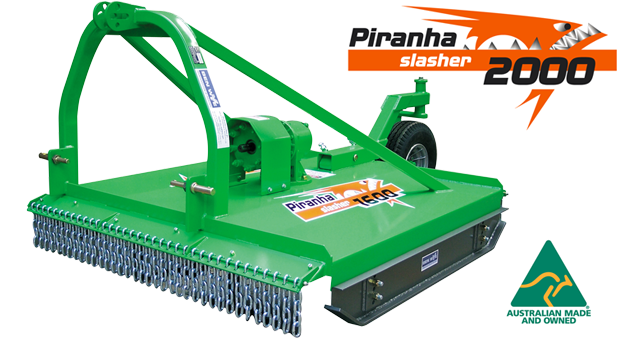 Compared to the slashers that I have operated from the two other manufacturers, the Piranha has significantly reduced my maintenance costs due to the inexpensive parts and their long service life. As my business continued to expand, I was wanting to cover more area per hour. A wider trailed slasher was unable to be easily transported on my tray-top truck, and not manoeuvrable or versatile enough for slashing house blocks. I looked into some other widening three point linkage designs and deemed them to be too heavy, too complex and too costly to maintain for the rugged conditions that I regularly encounter. The resulting Piranha 3600 folding wing slasher was put to work in October 2012, and has since completed approximately 2000 hours of slashing. It weighs about the same as my modified seven foot “ Very Heavy Duty” slasher, yet it’s effective cutting width is nearly double. It is also shorter, and it’s transport width is also narrower, and it is easily transported with the tractor on my tray-top truck. Overall I could not be happier with my Piranha slashers and the support of Ben Wye Engineering. My clients have been very impressed by my Piranha slasher and fire-fighting tank, and I have been and will continue to recommend Ben Wye Engineering and their products to anyone. Their willingness to accommodate customised designs, and their after-sales support is second to none, and I look forward to using their services into the future. Historically a 4 man crew would plant between 300 and 400 trees per day. Our benchmark for a 4 main crew using the planting device and GPS guided tractor is now 2500 trees per day. One thing I liked was their professionalism, responsiveness and attention to detail. Ian went to the trouble to understand how the trees are presented for planting so he could build a working platform to cater for two full pallets of trees in pots. He then also identified and went to the trouble of checking that we had a tractor suitable to manage the duty of carrying and operating the loaded implement.